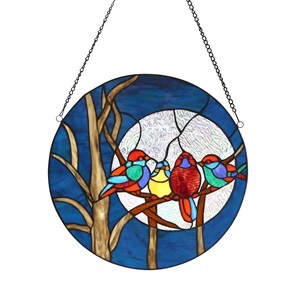 A deep blue moonlit night sky is the perfect backdrop for these four chirping birds. 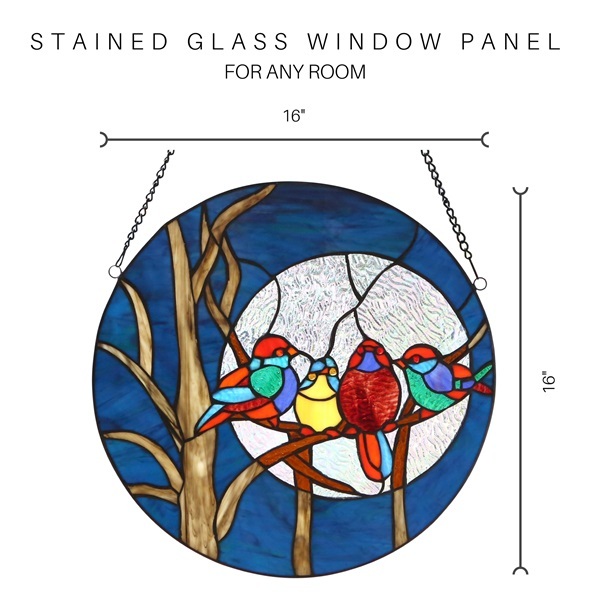 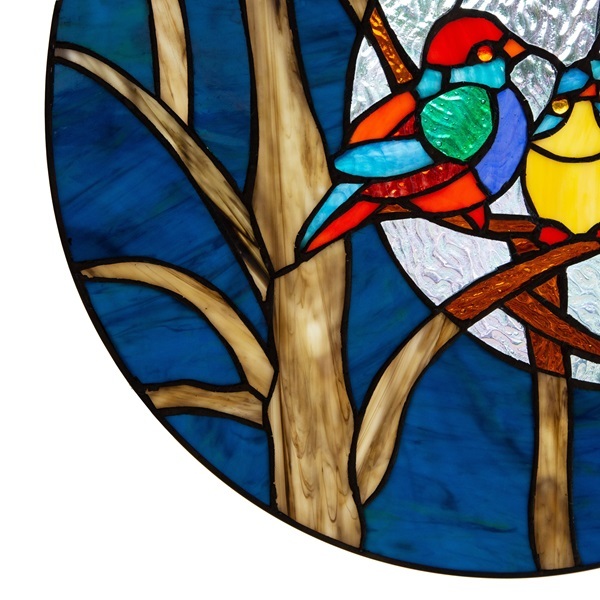 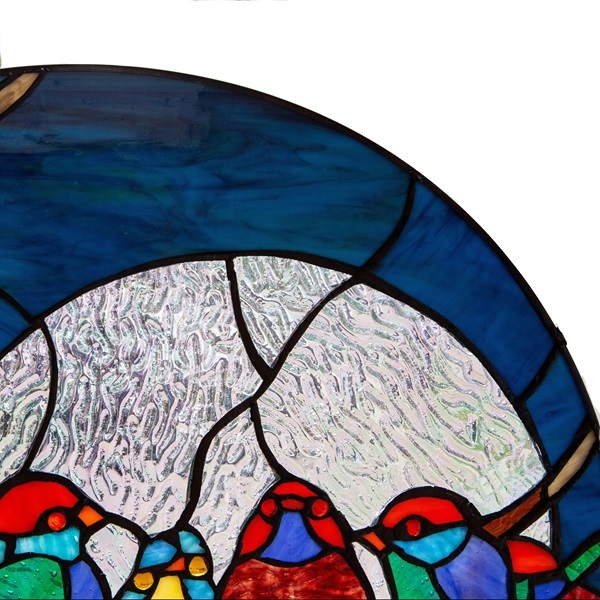 This 16"H round window panel creates a moody feeling with colors of deep blue, red and browns with more than 100 pieces of hand cut rippled and striated stained glass. 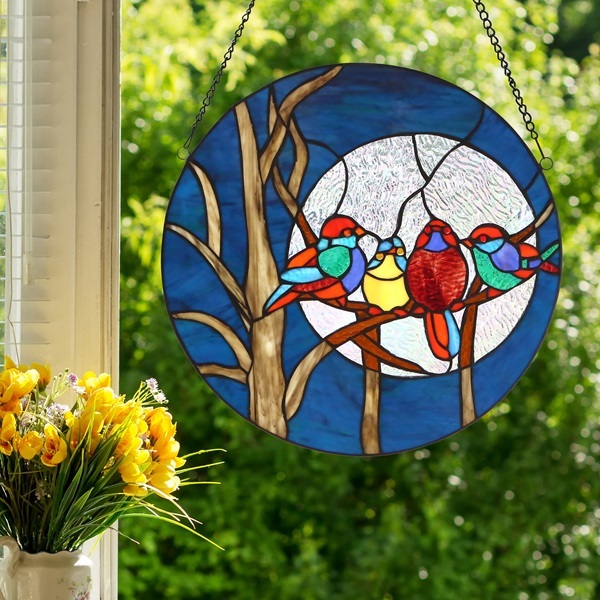 The moon is designed with clear iridescent rippled glass – a great way to have privacy without losing light. 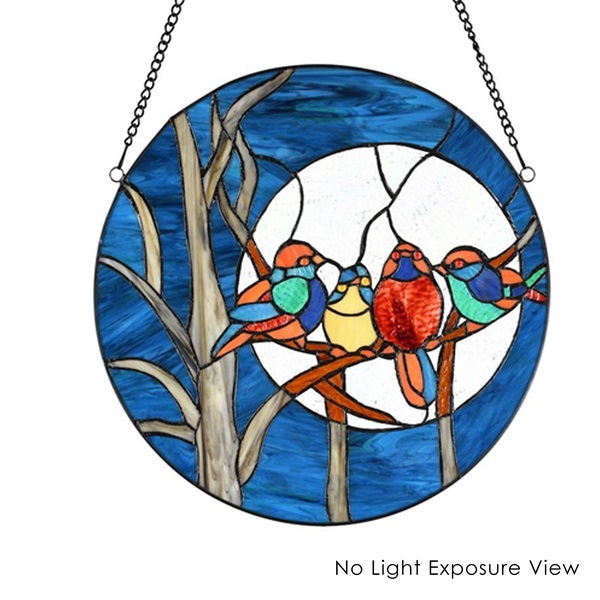 Includes a hanging chain, perfect for displaying in your kitchen, living room or dining room.